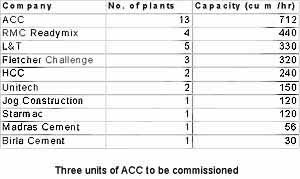 Size of the INDUSTRY The total capacity is spread over 129 plants, which is owned by 54 major companies across the country. Firstly in 1889 a Kolkata-based company started manufacturing cement from Argillaceous. Later the industry started getting the organized shape in the early 1900's. India Cement Company Ltd was established in 1914 in Porbandar with a capacity of 10,000 tons and production of 1000 tons installed. The first initial thrust to the cement industry in India was during the World War 1 and then the industry started growing at a fast rate in terms of production, manufacturing units, and installed capacity. This particular stage in the history was referred to as the Nascent Stage of Indian Cement Industry. In 1927, Concrete Association of India was established to create public awareness on the utility of cement as well as to propagate cement consumption. In the year 1956 the Indian Cement Industry saw the price and distribution control system, which was established to ensure fair price model for consumers as well as manufacturers. Later, government authorized new manufacturing units (as well as existing units going for capacity enhancement) to put a higher price tag for their products in the year 1977. After some years, government introduced a three-tier pricing system with different pricing on cement produced in high, medium and low cost plants. In 1982 Government of India introduced a quota system to give impetus to the cement industry. A quota of 66.60% was imposed for sales to Government and small real estate developers. Lower quota at 50% was effected for new units and sick units. The remaining 33.40% was allowed to be sold in the open market. These changes had the desirable effects on the Indian Cement industry. Profitability of the manufacturers increased substantially, but such rising input cost was a cause for concern. Complete freedom to the cement industry was given in the year 1989, to gear it up to meet the challenges of free market competition due to the impending policy of liberalization. In 1991 the industry was de- licensed which resulted in an accelerated growth for the industry and availability of state of the art technology for modernization. Major players invested heavily for capacity expansion and the industry laid greater focus on exports to maximize the opportunity available in the form of global markets. The role of the government has been extremely crucial in the growth of the industry. Indian Cement Industry is the second largest cement producer in the world after China with a total capacity of 151.2 Million Tonnes (MT). Government of India has been giving immense boost to various infrastructure projects, housing facilities and road networks, the cement industry in India is currently growing at an enviable pace. In the coming years more growth in the Indian cement industry is expected to come. It is predicted that the production in India would rise to 236.16 MT in FY11 & expected to rise to 262.61 MT in FY12 in the Cement Industry. The Indian cement industry is dominated by 20 companies, which account for almost 70% of the total cement production in India.The companies all over India have produced 11 MT cement during April-September 2009. The Indian Cement industry plays a major role in the growth of the nation for that case in any country. Industry Cement Industry was under full control and supervision of the government. However, it got great relief at a large extent after the economic reform which made its growth easier. Still government interference, especially in the pricing, is evident in India. In spite of it being second largest cement producer in the world, Indian Cement industry falls in the list of lowest per capita consumption of cement with 125 kg. The reason for this is poor rural people who mostly live in mud huts and cannot afford to have the commodity. The demand and supply of cement in India has grown up over the years. In a fast developing economy as India there is always large possibility of expansion of cement industry. The Indian cement industry is one of the vital industries for economic development. The total utilization of cement in a year is used as an indicator of economic growth. Cement contributes as a necessary constituent of infrastructure development and a key raw material for the construction industry, especially in the government's infrastructure development plans in the context of the nation's socio-economic development. The Cement Industry in India is the second largest in the world. Cement Industry constitutes of 140 large and more than 365 mini cement plants. The Indian Cement Industry's capacity at the beginning of the year 2009-10 was 217.80 million tonnes. The Indian Cement Industry comprises of 125 units with an installed capacity of 148.28 million tonnes and more than 300 mini cement plants with an estimated capacity of 11.10 million tonnes per annum. Actual Indian cement production in 2002-03 was 116.35 million tonnes as against a production of 106.90 million tonnes in 2001-02, registering a growth rate of 8.84%. Keeping in view the trend of growth of the industry in previous years, a production target of 126 million tonnes has been fixed for the year 2003-04. During the period April-June 2003, a production (provisional) was 31.30 million ton es. The industry has achieved a growth rate of 4.86 per cent during this period. The Indian Cement Industry comprises of 125 large cement plants with an installed capacity of 148.28 million tonnes and more than 300 mini cement plants with an estimated capacity of 11.10 million tonnes per annum. The Cement Corporation of India is a Central Public Sector Undertaking which has 10 units. State Governments owns 10 large cement plants. Indian Cement production in 2002-03 was 116.35 million tonnes as against a production of 106.90 million tonnes in 2001-02, registering a growth rate of 8.84%. The Major players in cement production are Ambuja cement, Aditya Cement, J K Cement and L & T cement. Apart from meeting the entire domestic demand, the Indian Cement industry is also exporting cement and clinker. During 2001-02 and 2003-04 the export was 5.14 million tonnes and 6.92 million tonnes respectively. During 2003 the export was 1.35 million tonnes. The Major exporters were Gujarat Ambuja Cements Ltd. and L&T. It is expected that the cement industry will steadily grow and more than 50 million tons will be produced annually to cater the high demand in the real estate sector. There will be significant increase in the production by around 9 to 10% which will favorably affect the overall Gross Domestic Product of the country. 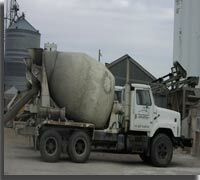 The Indian Cement industry in India consists of organized and the unorganized sector. Organized sector constitutes the cement producing industries while the main players of the unorganized sector are the regional and local cement producing units in various states across the state. Job opportunities are available in organized and the unorganized sector. In most cases, one needs to have some type of expertise in architecture in order to get a job in this sector. There are many opportunities for site engineer, packaging engineer, shift in charge, surveyor, geologist, contractor, supervisor and other posts. In Pollution Category, the Indian Cement Industry is under the "Red" Category which represents highly polluting industries. The Indian cement industry is expected to grow steadily in 2010-2011 and increase capacity by another 50 million tons in spite of the recession and decrease in demand from the housing sector. The industry experts project the sector to grow by 9 to 10% for the current financial year provided India's GDP grows at 7%. India ranks second in cement production after China. The major companies have made investments to increase the production capacity in the past few months, heralding a positive outlook for the industry. The housing sector accounts for 50% of the demand for cement and this trend is expected to continue in the near future. The Indian Cement Industry with Modernization and technology up-gradation has become a continuous process for industry. At present international standards and benchmarks in the quality of cement and building materials produced are met in India and is able to compete international markets. Substantial technological improvements have been bought in the industry for which we can legitimately be proud of its state-of-the-art technology and processes incorporated in most of its cement plants. This particular technology up gradation is resulting in increased capacity, reduction in cost of production of cement. In 2003, a Cris Infac study mentioned that the cement industry could had the capacity addition of approximately 50 MT by 2008, of which Greenfield expansions would contribute 40 MT while debottlenecking of the plants and increase in blending ratios would add another 10 MT, taking the total capacity of the cement industry to around 180 MT.